A lot of people have begun to consider Invisalign as a method for straightening their teeth. The benefits that come along with Invisalign have grown in success and they can provide a person with straighter teeth through a discreet and simple method. While dentist’s offices have always offered traditional braces as a method of treatment, many are now offering Invisalign as well. For anyone considering Invisalign, it is always best to get to a dental office that offers this method of treatment. Read more in this article as we go over how a dental office that offers Invisalign can help! 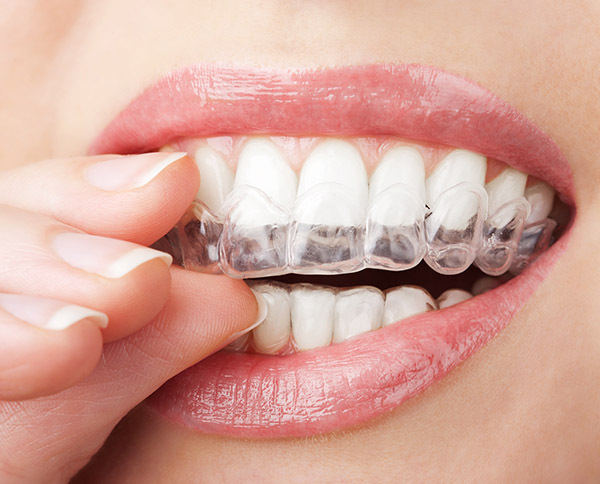 Invisalign are clear dental aligners that people wear to straighten their teeth. They are removable aligners that should be worn at all times except when eating or brushing the teeth. Below we will discuss the benefits that Invisalign offers people who have crooked teeth! Because Invisalign is clear, it allows for a person to straighten their teeth without anyone else knowing. It is best to visit a dental office that offers Invisalign so that they can show the patient what it looks like. Being able to see how Invisalign works will likely increase the chances that a person will opt for the treatment method. Most people don’t realize that Invisalign can offer a quicker turn around time in achieving straightened teeth. An aligner is one dental appliance that works to shift the teeth all at once. Traditional braces work each individual tooth through the use of brackets and wires. Braces usually take longer to achieve straightness because each tooth moves on its own, whereas with Invisalign the teeth move together at once. Visiting a dentist’s office that offers Invisalign can help someone who is considering Invisalign instead of braces as a treatment method. These offices typically have professionals who might know more about Invisalign and how they can work for people. Dentist’s offices that offer Invisalign will also be able to offer up visual examples so people are aware of what they look like so they know what to expect. Talking with a dentist who can explain any questions or concerns that someone might have regarding Invisalign can be a great benefit to people who are considering them. The use of Invisalign as a treatment method for crooked teeth has grown in popularity. They offer up many benefits for the straightening process and can help someone feel more confident because they are discreet. Knowing what they are, how they work and how a dentist’s office can help will benefit anyone who is weighing their options. If you have questions about Invisalign and or if you’re wondering what the benefits are, then reach out to our office today. We have trained professionals who can help answer any questions that you might have. Give us a call or stop in today!